Equivalent to Land Rover RGD100682HD (used for reference only). PARTS >> ACCESSORIES >> DEFENDER SERIES DISCOVERY 1 1989 to 1998 DISCOVERY 2 1999 to 2003 DISCOVERY 3 2005 to 2009 DISCOVERY 4 2010 to 2016 DISCOVERY SPORT 2015 on FREELANDER 1 1996 to 2006 FREELANDER 2 2006 to 2014 RANGE ROVER CLASSIC RANGE ROVER P38 RANGE ROVER L322 2002 to 2012 RANGE ROVER L405 2013 on RANGE ROVER SPORT RANGE ROVER EVOQUE UPGRADES >> TOOLS,OILS AND OTHER DIY >> Books Manuals and Gifts. 2 X RGD100682. LAND ROVER DISCOVERY 2 TD5 OR V8 1998-2004. 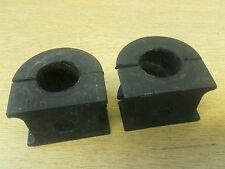 Discovery 3 & 4 Rear Upper & Lower Knuckle Hub Bushes (x2). Disco 3 & 4 Knuckle Hub Bushes. Land Rover Discovery 3 & 4, (2004-2016). Land Rover Parts. Discovery Parts. Series 2 & 3 - Defender 90/110/130, Discovery 1,2,3,4,5 & Sport - Freelander 1 & 2 - Range Rover Classic, P38, L322, L405, Sport & Evoque. Ball Joints, Ball Joint Bushes& D-Bushes. 1 Pair including Bushes. 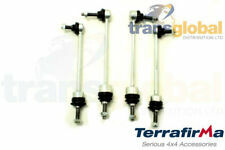 Land Rover Discovery 1 Front Anti Roll Bar Kit. ROVER 75 TOURER. RJ [1999-2005] Saloon. 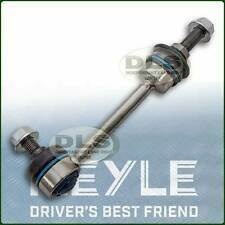 2 x FRONT LEFT ANTI ROLL BAR DROP LINK. ROVER & SUZUKI MODEL / SERIES. FIAT & ROVER MODEL / SERIES. INTERCHANGE PART NUMBER. Fuel Pump Type. SEAT MODEL / SERIES. REAR ANTI ROLL BAR BRACKET - 592773 THIS FITS THE LAND ROVER DEFENDER 110/130. Single Rear Anti Roll Bar bracket, for the Land Rover Defender 110 and 130, all years. We are then able to sort out any problems for you quickly with the minimum of inconvenience. 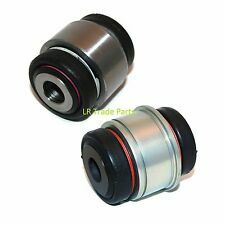 Front Anti-Roll Bar Bushes – Pair. PARTS >> ACCESSORIES >> DEFENDER SERIES DISCOVERY 1 1989 to 1998 DISCOVERY 2 1999 to 2003 DISCOVERY 3 2005 to 2009 DISCOVERY 4 2010 to 2016 DISCOVERY SPORT 2015 on FREELANDER 1 1996 to 2006 FREELANDER 2 2006 to 2014 RANGE ROVER CLASSIC RANGE ROVER P38 RANGE ROVER L322 2002 to 2012 RANGE ROVER L405 2013 on RANGE ROVER SPORT RANGE ROVER EVOQUE UPGRADES >> TOOLS,OILS AND OTHER DIY >> Books Manuals and Gifts. POLYBUSH ARE THE WORLD LEADER IN POLYURETHANE SUSPENSION BUSHES AND COMPONENTS. POLYURETHANE BUSHES IN RED HARDER WEARING THEN RUBBER MANUFACTURED BY POLYBUSH. Conversion Parts Conversion Accessories. THIS IS A GENUINE ROVER BAGGED UNIT. Range Rover P38 – All model years. PARTS >> ACCESSORIES >> DEFENDER SERIES DISCOVERY 1 1989 to 1998 DISCOVERY 2 1999 to 2003 DISCOVERY 3 2005 to 2009 DISCOVERY 4 2010 to 2016 DISCOVERY SPORT 2015 on FREELANDER 1 1996 to 2006 FREELANDER 2 2006 to 2014 RANGE ROVER CLASSIC RANGE ROVER P38 RANGE ROVER L322 2002 to 2012 RANGE ROVER L405 2013 on RANGE ROVER SPORT RANGE ROVER EVOQUE UPGRADES >> TOOLS,OILS AND OTHER DIY >> Books Manuals and Gifts. MG - MG ZT - 1.8 16V. MG - MG ZT - 2.0 CDTi. MG - MG ZT- T - 1.8 16V. MG - MG ZT- T. MG - MG ZT- T - 180. MG - MG ZT. MG - MG ZT- T - 2.0 CDTi. MG - MG ZT - 180. WE ARE THE MGB HIVE LTD.
Pictures are for reference only and specifications may alter without notice. Product specifications are given but it is up to the end user to ensure that the product is fit for that purpose. Part numbers are used for identification purposes only and do not imply or indicate the identity of a manufacturer. Ball Joints, Ball Joint Bushes & D-Bushes. 1 Pair including Bushes. 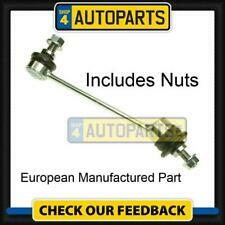 Land Rover Discovery 1 Rear Anti Roll Bar Kit. 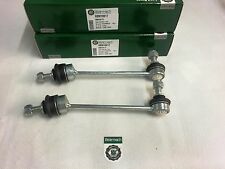 Land Rover Discovery 1 Anti Roll Bar Ball Joints / Links. For a single Joint see item No. 263602857102. Front or Rear. 1 Pair including Bushes. MPN - SS7142 X2. LAND ROVER FREELANDER 2 (L359) 2.2 TD4 4x4. LAND ROVER FREELANDER 2 (L359) 2.2 SD4 4x4. LAND ROVER FREELANDER 2 (L359) 2.2 eD4. LAND ROVER FREELANDER 2 (L359) 3.2 4x4. LAND ROVER FREELANDER 2 (L359) 2.0 Si4 4x4. ROVER & MG ZS. MG ZS, Rover [25, 45]. Rear Stabilizer Link Bars Bushes x2. You are purchasing 2 Stabilizer Link Bars & Bushes. Rover [414, 416, 418, 420D, 420V6]. All international parcels will be boxed and very well secured. RBM10017 x 1. Genuine Bearmach High Quality Components. known all over the world for high quality parts. L R Parts Ltd is an authorized Bearmach distributor, we specialize in new Land Rover Spares, stainless steel bolt sets for Land Rovers and general maintenance parts. Genuine Bearmach High Quality Components known all over the world for high quality parts. New Land Rover Spares is an authorized Bearmach distributor, w e specialize in new Series Land Rover Spares, stainless steel bolt sets for Land Rovers and general maintenance parts. Fits Models 1999 to 2016, TD5 & Puma. Ball Joints, Ball Joint Bushes & D-Bushes. 1 Pair including Bushes. 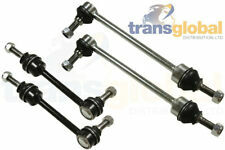 Land Rover Defender 90 Rear Anti Roll Bar Kit. These are suitable for Land Rover Discovery 2 models with the 2"-3" suspension lift kit fitted. Add to Favourites. made with love by. OEM Part Number: ANR3304. Wheel Nuts Hi lift jacks & Acc. Tyres Safari Snorkes Defender Parts Discovery Parts Range Rover Parts Wheels Tools Gift Ideas Series Discovery 1 89-93 Discovery 1 94-98 Discovery 2 99-04 Range Rover Classic Range Rover P38 Range Rover l322 Freelander Discovery 3 Defender 90 & 110. 2 X RBM10017. Land Rover Freelander 1. Front Anti-Roll Bar Drop Link Joints SET. wide range of Quality Assured products at. RVU500010, RVU500011, RVU 500011, RVU 500010. Land Rover. Land Rover Range Rover Sport LS SUV - 2005-2013. Land Rover Range Rover Sport LW SUV - 2013-2018. Fitting Position : Front Axle Left & Right. Direct 2 Public. Defender – all models to VIN KA930455. PARTS >> ACCESSORIES >> DEFENDER SERIES DISCOVERY 1 1989 to 1998 DISCOVERY 2 1999 to 2003 DISCOVERY 3 2005 to 2009 DISCOVERY 4 2010 to 2016 DISCOVERY SPORT 2015 on FREELANDER 1 1996 to 2006 FREELANDER 2 2006 to 2014 RANGE ROVER CLASSIC RANGE ROVER P38 RANGE ROVER L322 2002 to 2012 RANGE ROVER L405 2013 on RANGE ROVER SPORT RANGE ROVER EVOQUE UPGRADES >> TOOLS,OILS AND OTHER DIY >> Books Manuals and Gifts. RBM500190 x 2. Genuine Bearmach High Quality Components. Known all over the world for high quality parts. L R Parts Ltd is an authorized Bearmach distributor, we specialize in new Land Rover Spares, stainless steel bolt sets for Land Rovers and general maintenance parts. See my other Rover & MG parts. Genuine MG part. RBM100172 x 2. Equivalent to land rover Part No :- RBM100172 RBM100170 RBM100171. 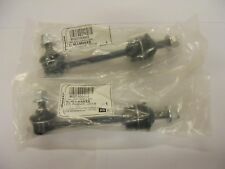 Land Rover Freelander pair of Anti Roll Bar Drop Links. Land Rover Freelander 1 96-06 Front. Suitable for all Freelander 1 models. Ball Joints, Ball Joint Bushes & D-Bushes. 1 Pair including Bushes. 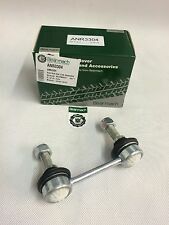 Land Rover Defender 110 Rear Anti Roll Bar Kit. OEM Part Numbers: ANR3304, ANR 3304. Land Rover. Car: Land Rover - Range Rover. Land Rover Range Rover MK II 2.5 D 4x4. Land Rover Range Rover MK II 4.6. Land Rover Range Rover MK II 3.9. With Lock Nuts. Rover 75 2.0 CDTi (2004-2005) 02/99-. Rover MGZT-T 2.0 CDTi 135 06/01-. Rover MGZT-T 2.0 CDTi 06/01-. Rover MGZT 2.0 CDTi 135 06/01-. Rover MGZT 2.0 CDTi 06/01-. SALOON AND ESTATE MODELS ALL YEARS. 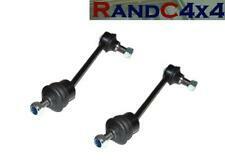 2 X FRONT ANTI ROLL BAR DROP LINKs. Land Rover Discovery Mk3 [2004-2017]. Car : Land Rover Discovery. Land Rover Range Rover Sport [2005 - 2013]. Outer Thread : M12 x 1,75 mm. Fitting Position : Rear Axle Left AND Right. OEM Part Numbers . OE part number for reference only: RGD100682. Wheel Nuts Hi lift jacks & Acc. 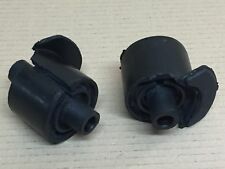 Tyres Safari Snorkes Defender Parts Discovery Parts Range Rover Parts Wheels Tools Gift Ideas Series Discovery 1 89-93 Discovery 1 94-98 Discovery 2 99-04 Range Rover Classic Range Rover P38 Range Rover l322 Freelander Discovery 3 Defender 90 & 110. RBM000011, LR030047, RBM500200, RBM 000010, RBM 500200, LR 030047. Land Rover. Car : LAND ROVER. Thread Length : 26,5 mm. Outer Thread : M12 x 1,5 MM. Land Rover Range Rover Sport LS. Land Rover Range Rover MK III. Part No : RGD100682A. These are Suitable For All Land Rover Discovery 2 Models From Late 1998 through to 2004. L R Parts Ltd is an authorized Bearmach distributor, we specialize in new Land Rover Spares, stainless steel bolt sets for Land Rovers and general maintenance parts. Land Rover Part Number LR024474. Land Rover Range Rover Evoque. 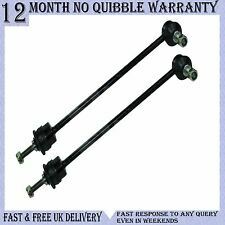 New Genuine Land Rover Front Anti Roll Bar / Sway Bar / Stabiliser Bar / Stabilizer Bar Drop Link Assembly. Land Rover Discovery Sport. Land Rover Freelander Mk I 1.8i 16V. Land Rover Freelander Mk I 2.0 TD4. Land Rover Freelander Mk I 2.5. These stabilizer links fit the following cars. Order placed before3.00pm. 45 400 MG ZS. 25 200 MG ZR. ONE GENUINE MG ROVER. Range Rover L322 – All model years. PARTS >> ACCESSORIES >> DEFENDER SERIES DISCOVERY 1 1989 to 1998 DISCOVERY 2 1999 to 2003 DISCOVERY 3 2005 to 2009 DISCOVERY 4 2010 to 2016 DISCOVERY SPORT 2015 on FREELANDER 1 1996 to 2006 FREELANDER 2 2006 to 2014 RANGE ROVER CLASSIC RANGE ROVER P38 RANGE ROVER L322 2002 to 2012 RANGE ROVER L405 2013 on RANGE ROVER SPORT RANGE ROVER EVOQUE UPGRADES >> TOOLS,OILS AND OTHER DIY >> Books Manuals and Gifts. Land Rover. Car : LAND ROVER. LAND ROVER DISCOVERY IV 3.0 4x4. LAND ROVER DISCOVERY IV 5.0 V8 4x4. LAND ROVER DISCOVERY IV 2.7 TD 4x4. LAND ROVER DISCOVERY IV 3.0 TD 4x4. LAND ROVER DISCOVERY IV 3.0 SDV6 4x4. PART NUMBER - RBM100223HD. LAND ROVER DISCOVERY 2 - ALL MODELS WITH OR WITHOUT ACE. 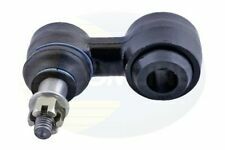 HEAVY DUTY FRONT ANTI ROLL BAR DROP LINKS - PAIR. UK Mainland Orders. Recovery 4x4 are authorised distributors for Allmakes 4x4, Bearmach and Britpart Land Rover parts and accessories. Land Rover Freelander 1.8 MK 1 02/98-10/06. 2 X FRONT DROP LINKS TO SUIT ADVISORY DETAILS We advise that you do not book your vehicle into a garage until the parts have arrived and been verified correct. Land Rover. Car : LAND ROVER. Fitting Position : Rear Axle Left & Right. Land Rover Range Rover MK III 4.4 4x4. Land Rover Range Rover MK III 4.4. Land Rover Range Rover MK III 5.0 V8. Land Rover Range Rover MK III 3.6 TD 8.